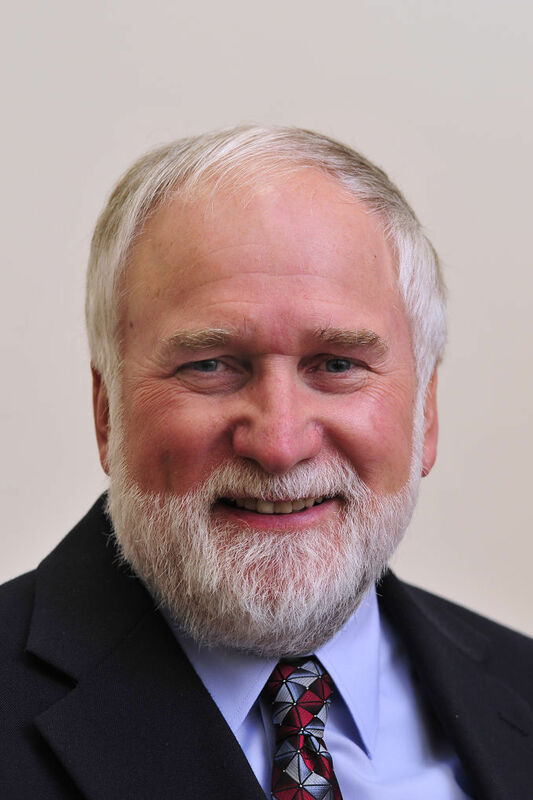 RACINE — If City Administrator Tom Friedel decides to stay on in his position, he will see his contract extended by two years, and get a $10,000 increase in his $99,237 salary. That was the decision made by the City Council Tuesday night which discussed the issue for more than an hour before voting 8-6 to approve the adjustment. The proposal to increase Friedel’s salary by $10,000 — a $5,000 increase the first year, and a $5,000 increase the second year — came from Alderman Q.A. Shakoor. While the salary increase proposal was contentious and spurred several motions, the vote to extend the contract by two years was approved 10-2. The City Council discussion on Friedel’s contract and salary comes about three weeks after Mayor John Dickert and Deputy City Attorney Scott Letteney approached the Finance and Personnel Committee requesting that Friedel’s contract be extended by two years and his salary increased by 31 percent. Under their proposal, Friedel’s current annual salary of $99,237 would climb to $115,000 on July 13, and then to $130,000 one year later. Dickert and Letteney have said such an increase is justifiable, and necessary if the city wants to bring compensation for the position in line with what city administrators in similar communities are paid. Friedel, 64, said last month that he did not know if he would stay on in the job if a pay raise was not approved. While it is still not clear what Friedel’s plans are, among the items referred to the Finance and Personnel Committee during the Tuesday City Council meeting were two items requesting money the city might need if it needs to find a new administrator. The first is a request for $26,950 from the city’s contingency fund to pay for a national search for a new city administrator. The second request seeks $11,600 in contingency funds to make sure the city has enough money to pay the fourth quarter salary of a new city administrator. Neither Dickert nor Friedel were present for the meeting. “As an alderman I worked with three city administrators, and I can honestly say that Tom is the best,” he said. Outgoing City Development Director Brian O’Connell also spoke in favor of keeping Friedel in the job, as well as giving him a raise. “Six years ago Tom gave the city a discount on that position. . . . The coupons have expired. The position cost more before he took it, it will cost more after he took it. To borrow a phrase: It’s cheaper to keep him,” he said. Three citizens also spoke against the position as well as the raise. Tresa Johnson, 62, said she and her neighbors were “appalled” by the request for a 31 percent raise and said if the city had enough money to pay for such an increase, where was the money to fix the street in her neighborhood or turn the streetlights back on. Somehow we must have missed the news release that the city of Racine is flush with fresh money. The City Council voted Tuesday to increase City Administrator Tom Friedel’s salary by $10,000. A $5,000 increase the first year, and a $5,000 increase the second year in a two-year contract extension. 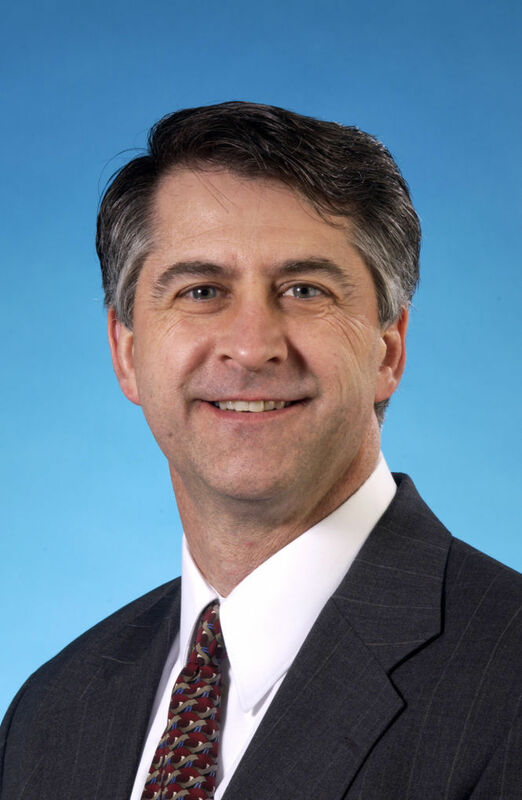 Mayor John Dickert and Deputy City Attorney Scott Letteney had initially proposed boosting Friedel's salary of $99,237 to $115,000 on July 13, 2015, and then to $130,000 on July 13, 2016. Of course they gave him the raise, and it should have been way more. It is hard work rigging development deals and contracts for friends, and covering up fraud and extortion. It was nice to see all of our friends who came out to support the raise even, and to tell everyone how disrespected he feels for only making $100,000 without a degree. We have to keep the team together, and we can't let anyone find out the connections between the mayor, city administrator, and some select clubs and organizations. Are they all related and connected? Of course they are, but there is nothing wrong with kickbacks and bribes, or collusion and discrimination, as long as city council votes for it, right? Who else is related? Hopefully no one looks too close now that the summer season is in bloom! I hope he turns it down and they place an ad for a new guy. Avoid family and friends and get a real go getter that can take the load off of the Mayor. When will the Machinery Row get into high gear? The Mayor should eat and sleep there until it is done. One more winter and it could collapse! I think that is what happened to Point Blue. How much does the City Administrator in Mt. Pleasant get and how much of raise did they get? If any of you were this much underpaid you would quit. This salary changes nothing in the overall budget. I think you all failed math and economic. Please all the negative people move away from Racine you are keeping from being a first class city. Everyone just complains!! what are you going to do about it!! you are all just entertainment for all those who get away with this...bureaucracy that we....//you have allowed to happen! !.It is only going to get worse as the middle class vanishes.. as the ones in charge want it to ..So again I ask what are you all prepared to do..
Not complaining,I'm glad for him. I just want to puke!!!! Thank God I don't live in the City of Racine A few council members who voted no to this have "common sense", the rest are a frucking stupid. This is totally insane! The city is essentially broke, they say, but can justify a raise to Freidel who basically learned being a city administrator "on the job" ......it is hard to swallow this nonsense. Talk about kissing cousins!! I always thought this kind of corruption was from the mafia in Chicago. Wow, I could just puke. I think I'll run for office under the heading that I'm a bigger liar. cheat, corrupt individual, user, and I'll take only the biggest brides offered me! Oops, those pukes just won because of family and friend votes - none of which could pour wee=wee out of a boot! It doesn't matter, it's not about you, It's about Dickert taking care of his family and friends with hundreds of thousands of your taxpayer dollars. Do you honestly think these aldermen thought about the money and how it might affect the residents and the upcoming budget? Do you think anyone evaluated the job performance of Friedel? You the residents simply do not matter. Here's an idea though, maybe Cara Spoto the reporter of this story, should just put an application in to replace the 2nd district alderman who just resigned. It would be perfect. And Ya, nice headline JT, the raise is $15K not $10K and the raise portion of the vote was 8-6, NOT A MAJORITY 2/3's vote, the vote for any raise did NOT PASS LEGALLY. Racine Machine, I think it's just a poorly-worded article. They are referencing what the mayor and Friedel originally requested. The vote ended up going with the $5k over 2 years. Either way this raise should not have been approved and I'm disgusted my alderperson voted in favor of it. You are correct that the raise and extension should not have been approved, and if I were a non-union city employee I would demand the same raise with a detailed powerpoint presentation by the city attorneys to justify it and coerce votes. You are not correct about the amount of the raise, despite the purposely confusing writing. They were trying to push a $45,000 raise over two years, and ended up at a payoff of an additional $15,000 instead. They gave him an additional $5,000 for the first year, and an additional $10,000 for the second year. That is $15,000. It will also be the basis for his retirement pay. Will he get additional raises, bonuses and vacation pay-outs? Likely. Is he managing a corrupt enterprise that involves collusion, bid rigging and discrimination? Definitely. The corruption in Racine needs to end. It all starts with ending this backroom deal that has served as the precedent and catalyst for other backroom deals. The citizens demand that Racine's public officials be held accountable for corrupt and illegal activities. This is more of the same, and these special favors and kickbacks have gone too far. Corruption, collusion and discrimination are illegal, and when the evidence comes out, there will be many influential people named in the far-reaching connections. I'm still trying to figure out why we have an Administrator, what does the mayor do? Either have a Mayor or an administrator but a town of this size doesn't need both. If this doesn't smack each and everyone of you taxpayers in the face, NOTHING will. Hope all of you that voted for Dickert are happy with all the shenanigans going on. It's a shame we don't have alderman that can represent the people that voted them rather than follow what the mayor wants. A bunch of rubber stamp people. JT - are you so closely involved that you can't even do simple math or are you purposely misleading the public again? This is not a $10,000 raise, it is a $15,000 raise ($5,000 plus $10,000) with extra benefits and retirement compensation . Is this another rigged change order? Is this a kickback for all of the ongoing bid rigging, collusion and corruption in Racine? Is this raise warranted? For what, lying and cheating? Are there no qualifications required for the position? Does he know the law or just break it claiming he didn't know any better? Is this enough money for him to continue covering up corruption? If this is true, I'm running against you in the next election. I will use this insane vote by you as my platform that residents need better and stronger leadership rather than lapdog lackeys for the Mayor. Wait and see. Your constituents thank you for absolutely nothing. You are a disgrace sir. Tom Friedel got himself a raise. I’m thinking how nice it would be to give all the city employees a similar percentage raise. Would the money he has saved our city come out of all the cutting of city employees’ wages and benefits that he put in place. This guy was not going anywhere - an idol threat. At his age he's not going to change jobs. Yes, stop being a coward Spoto, who voted for this and who did not. Do your GD job! I'm still confused as to why people think he is good!. The city is broke fending off lawsuits with a bunch of in fighting going on among alderman and others, and there has been little development relative to Kenosha and elsewhere. It sounds like very poor leadership from he and Decker quite frankly that isn't deserving of any raise. They are keeping Racine down. This council doesn't understand what they are doing. The position is grossly under salary . This is a 120-130k position. You had someone doing it well for 6 years and now you will force him out and hire someone from outside Racine. Who will most likely receive a much higher salary. The increase requested would not impact the budget being it's less than 1 percent of the overall budget. The Council continues to chase away good people. i hope he retires Racine deserves what it gets if they want to be cheap. 10-2 vote to extend his contract at current salary is hardly forcing him out. I understand the position may pay higher in other areas. I also understant that asking for a 30% increase when every other deparment is taking cuts is in poor taste and poorer practice. They have now set the precedent that not having a degree can no longer be a reason to cap someone's pay or position, nor can "not having it in the budget". There are a lot of employees in this position. This very well may cost the city much more than the 10 percent increase. This vote would require a super majority or two thirds vote to have passed. An 8-6 vote is NOT a super majority vote, the whole thing is flawed and a rip off for Racine residents. Please publish the names of the aldermen who voted in favor and against this increase.